My friend Rosie is a bit of a genius. She recently made the most fantastic rainbow shaped carrot cake for her daughter’s 3rd birthday. A cake which managed to both taste delicious and look the business; something that rarely happens with fancy birthday cakes in my experience. 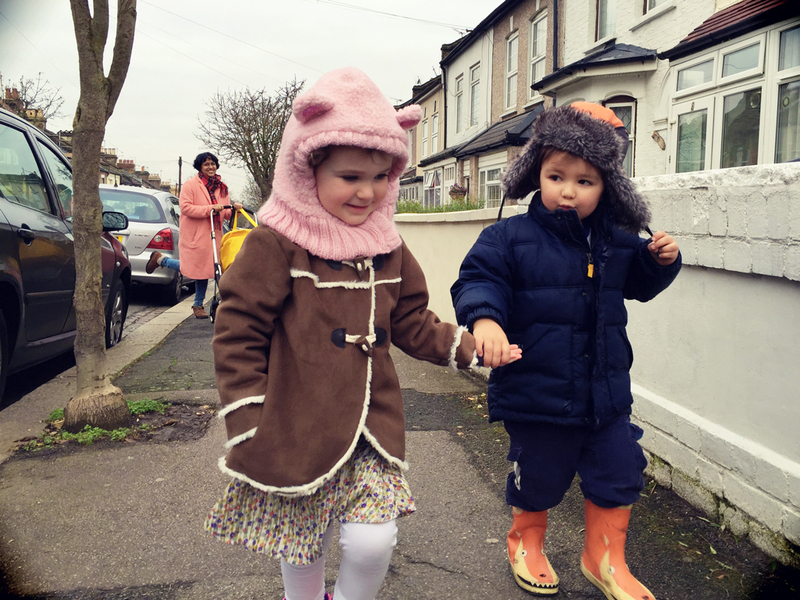 Anyway,we seem to spend at least one afternoon a week together as our kids are both at the same nursery and playdates with my son’s BFF have become the highlight of our week. I love going round because their house is like something out of an Aram catalogue (in a good way) but still manages to be completely toddler friendly, with all the toys laid out on easily accessible low shelving just like it is at nursery. Rosie is pretty laid back and lets them run riot with glitter, paint and egg boxes. Also she makes the best macaroni cheese. The other week she made these killer savoury scones and I literally couldn’t stop eating them. You need a 12 hole tart or muffin tin. Put flour, baking powder, salt, and cayenne pepper in a bowl. Rub in margarine or butter and then add the grated carrot or courgette and half of the grated cheese. Stir in egg and milk and spoon the mixture in to the tins. Sprinkle the tops with remaining cheese. Cook for 20 – 25 minutes until golden, leave in the tin for 5 minutes, remove with palette knife and cool. You can also put ½ of the mix in the tin then a spoon of chutney followed by remainder of the mix as a variation. They’re also very nice with chopped herbs in the mix. Sage and parsley work well.